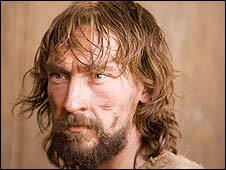 The BBC has confirmed it plans to make a six-part series dramatising iconic and important stories from the Bible. The corporation said that the series would be an accessible, entertaining, informative and intelligent guide to the Christian religion's key text. The international co-production, to be broadcast in 2009, will combine drama and computer-generated imagery. The BBC plans to hire a well-known actor, whose identity has yet to be disclosed, to narrate the series. According to the corporation, each episode will concentrate on the humanity, "miraculous experiences" and epic encounters in the Bible's stories. Four million viewers watched the BBC's Easter dramatisation of The Passion, which retold the crucifixion and resurrection of Jesus.